I know it’s a bit late, but I hope this helps. Sun protection. Here the sun can burn you if you don’t take some protections. Some times seems like it’s not so sunny, but it could be dangerous if you are from a northern area. Here there is not so many place with vegetarian food but we try to find all kind places for eat nearby the event. You’ll find that info (which will be updated) at the wiki. In Gran Canaria (Spain), electricity is provided normally at a voltage of 220 V and 50 Hz. But you’ll probably find adapters at the mall (Centro comercial Las Arenas) just in front the event’s place. Here in Gran Canaria we talk Spanish, so you can find useful the list of common words and expressions we have at the wiki. If you already know Spanish, you need have in mind that here we have some different words (eg. Autobus = Guagua). The most useful lines of guaguas (buses) for going from or at the auditorium are the lines 47 and 17. Taxi is also a good option. Probably you’ll pay 4 € for a normal ride (from the Auditorium to the farthest hotels. There will be a infodesk where you’ll find people who can bring you some help. The contact person will be Fabio, but there will be more people there. If you have a group of people who want place for lunch of dinner, ask for me at the infodesk, I’ve been talking with some places to try to arrange this king of things. I just like to add that Gran Canaria is much more than beaches and sun. So try to get into the countryside or to different part of the island. They are so different between them hat people usually get surprised. It was a really good experience going to the FOSDEM. It was my first, but I hope it won’t be the last. I had the opportunity of knowing a bit Brussels: the beer, the chocolate, the waffles, the city center… very nice place… errr, but the weather… rains and cold… not really my type. The FOSDEM itself was amazing. So many people from so different projects (hackers and users). Kudos for the organization people, they did just great. Huge and great work! I missed some friends over there but I met new friends and I could talk a lot about the GCDS (Gran Canaria Desktop Summit), which is going to be a very important event. 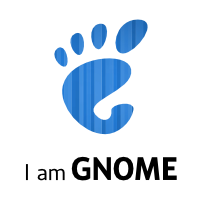 It seems that people from GNOME and KDE are ready for collaborate as much the time over there let us. I very exciting about the event and all the think are coming with it. On Monday I come back, but I have some changes. I’m going to work on a six months project, out of the office (actually at the client office) but in a good a nd interesting (at least for me) Spanish free software project. I’m really exciting about this too, but I’ll wait until I start (on Monday) to talk about the project and what I’m going to do in it.